"A Traditional Minnesota Hunting and Fishing Camp with Over 60 years of history"
Nestled on the Popple River between Squaw Lake and Round Lake in Northern Minnesota's Chippewa National Forest, you'll find the traditional fishing and hunting experience you've been looking for. At Leino's Riverside Resort we provide comfortable, quiet, all-season lodging in modern cabins. Treat yourself to a rich hunting and fishing experience! A short boat ride up the Popple River takes you to Round Lake, one of Minnesota's most productive Walleye and Perch Fisheries. Head downstream into Squaw Lake and experience waterfowl hunting at it's finest. Leino's Riverside Resort is a fishing and hunting camp for all seasons! The Squaw Lake area is noted for it's beauty and abundance of wildlife. On the lake, enjoy great Walleye, Perch and Northern Pike Fishing. 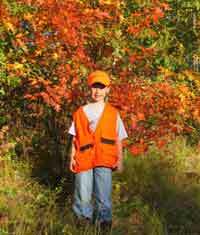 In the forest, you'll find Ruffed Grouse, Woodcock, Whitetail Deer and Black Bear. At the waters edge, you'll experience some of the top waterfowl hunting in the midwest. Whether you hunt the puddles or the big lake, there is a Goose and Duck hunting trip waiting for you. We've got great ice fishing for Perch, Pike and Walleye too. For folks who like to wander, we're located close to Lake Winnie, Red Lake, Bowstring, Sand Lake, Blackduck Lake and many more. With a thousand lakes in Itasca County and hundreds of miles of public walking trails and hunting areas, you'll never be far from a new adventure. New for 2018 will be the addition of "The Pub" which Cory and Kari Leino Smith plan to have up and running for the 2018 fishing opener. The pub will be incorporated into the gift shop located along Hwy 46 on the resort grounds. Watch for updates and photos as they become available!